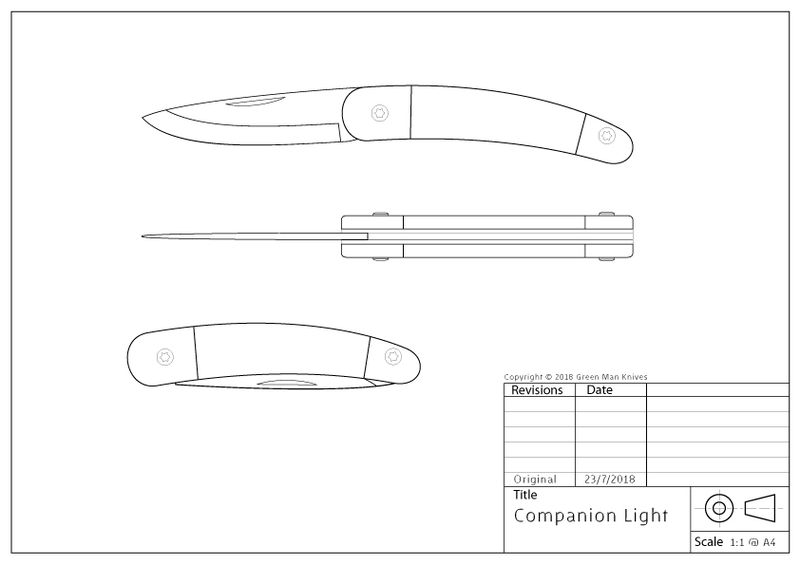 Choose from my standard designs and customise aspects of your knife to suit your taste. Once I receive your order I will let you know the lead time. (This varies greatly so I can’t tell you up front, sorry). If you don’t see the knife you want to order here email me. My folding knife is a traditional ‘spring’ folder meaning that there is no locking mechanism to hold the blade open, just the power of the internal spring holds the blade in the open or closed position. I have designed this knife to be a very sturdy tool with a 2.5mm thick blade and an extended overlap to maximise strength around the fulcrum.